I'll be returning to my regular posting topics next week, and you won't hear of Indie Craft Parade for a little while, but I just wanted to do one last post to say thank you. Thank you to our sponsors who made this whole event possible. Please tell them you appreciate their commitment to our arts community. Thank you to our volunteers, who selflessly gave of their time to put up posters, help vendors unload, count our many attendees, hand out event maps, and many other tasks. Thank you to my mom, who flew down for the week and did everything for me, from coordinating ICP to helping me clean my disaster of a home. Thank you to the wonderful girls who helped Lib and I sew over 1400 feet of felt garland. Thank you to our food vendors for serving delicious food and being sweet. Thank you to our musicians who played wondrous music for not very much money. Thank you to everyone at the Peace Center, I can't imagine holding our first ICP anywhere else. You were all perfect to work with. Thank you to Bethany who saw our vision and helped us get everything started. Thank you to Carrie who made sure everything was done just as we dreamed, and who worked way more than she should have to help us. I think she is an angel. Thank you to Doug who spent hours on a ladder hanging garlands and banners for us as we said "a little to the left... no, back a little... a little to the right" and never once acted frustrated. Thank you to our 77 artists who trusted us not to mess this whole thing up. You were all patient, kind, and just generally amazing. You are the reason ICP actually worked. I wish we could just get together and hang out! Thank you to the 4000 people who came to ICP, waited in line without complaining, and supported our artists. You made my day. You made my year. You are the reason my face still hurts from smiling. Thank you to the best co-founder and partner anyone could ask for, Libby. This whole crazy business would have never happened without her. Thank you for your beautiful design work, for making sense of my ramblings, and for making the endless hours of work fun. Thank you for being optimistic, dedicated, and a gem of a person. I just adore you, dear friend. Thank you to my darling husband. You were the one that said "Go for it!" and believed in me. Thank you for drawing all the little things I asked you to, for your great ideas, for waiting up for me when I was still working at 4 am. You are the reason I was able to do this in the first place, and you made it happen by supporting me. Thank you for putting up with me when I was running around and acting like a crazy person. You are my everything, and I love you. If I forgot somebody, I'm sorry. My brain is still recovering. Just know that I am grateful. 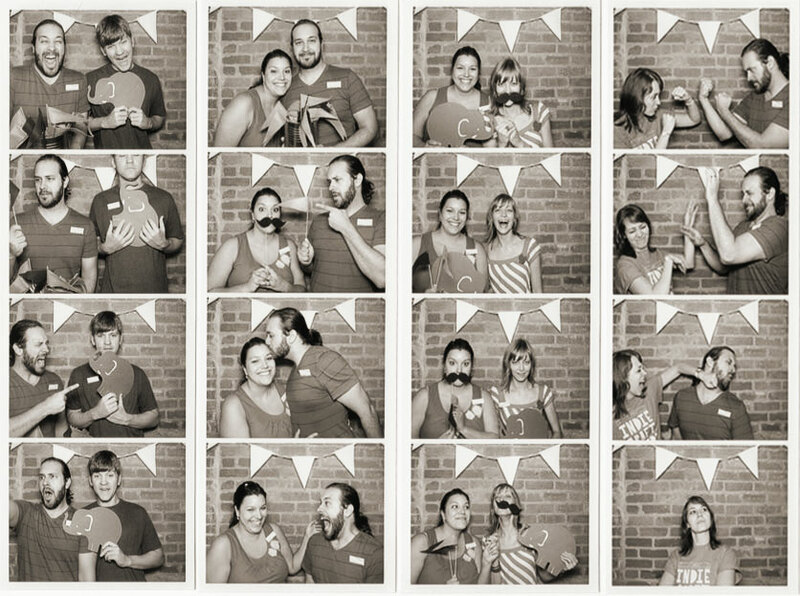 Don't forget to check out the photobooth gallery and our Flickr group! so i just sent an email i found on the "contact" page of indie craft parade. i am so intrigued about what you guys pulled off and would love to get some advice on throwing a baller craft parade in my area!! Hello there! So nice to see you. Hello there! This is blog about those little things that make me happy: hosting parties and home decor, cooking and crafting, dreaming and scheming.